1 partner working on the row while the other is working on the devil's press. 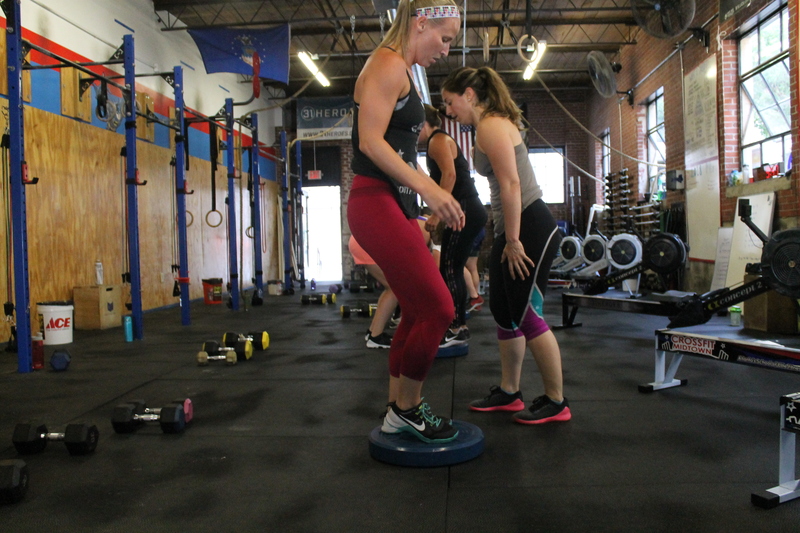 Partners may partition the row and devil's press any way, but 1 partner must row a minimum of 10/8 cal and must complete a minimum of 2 devil's press each round. Once both movements are complete they may start on the next round. The rower must be reset and they must switch rowers to start the next round.